If you are a social media buff you must have an idea that Game Of Thrones is returning on the screens today (Sunday). The season premiere of this HBO show has made brands post on social media with creative content. 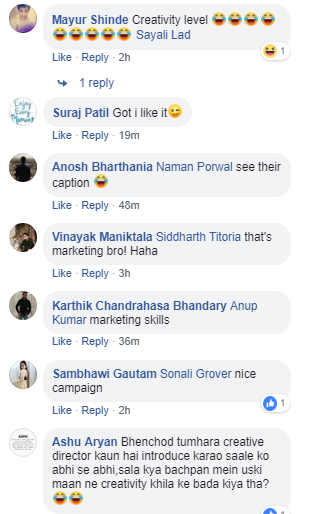 This is due to the fact that brands are happy to use the popularity of GOT to engage their fans. Talking about creative advertising, Durex is one brand that has a huge fanbase for its posts on trending topics. The fact that Durex advertises its products in a witty manner that makes people share their content on social media. 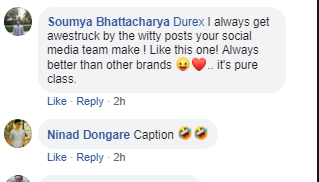 Humor is the most shared content on social media and Durex always makes the most from this. 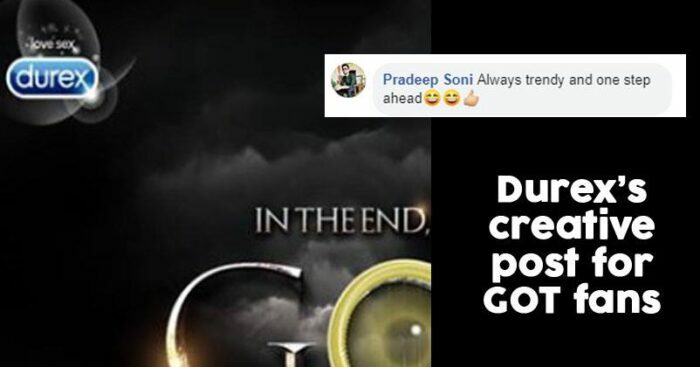 Latching on GOT’s popularity and curiosity of digital audience for its 2019 premiere, Durex has posted an image reading “In the end, we’ve GOT you covered”. This along with caption The show’s end won’t be the only thing coming. To buy Durex Extra Time and a link. Fans loved this and started sharing their reactions.